Having a Trade Mark in place is important when selling products on Amazon and other online marketplaces, it is also required in order to enrol a brand in Amazon’s Brand Registry. Having your brand enrolled in Brand Registry opens up further content/advertising opportunities including Enhanced Brand Content and Headline Search Ads. We can help you register your brand in Brand Registry and can also help to get 3rd party sellers’ listings removed if they are infringing on your Trade Mark. Having this fundamental step in place provides some leverage in getting 3rd party sellers content removed. Duplicate listings (other sellers setting up a new ASIN rather than selling on the same listing) and Trademark infringements can be remedied in a straightforward manner when signed up to Brand Registry. There are, of course, other vital considerations to protecting your brand. A Trade Mark is referred to a brand, whereby a brand can be more than just a company logo. A Trade Mark is regarded as an assurance of user experience regarding the nature of the product or service that they will receive. A Trade Mark is an essential element of a brand; whereby it distinguishes the source of goods and services provided by one trader, to another. The Trade Mark may be a word, phrase or logo, shape, colour, sound, aspect of packaging or any combination of these Trade Mark embodiments. You can use your trade mark as a marketing tool to ensure that customers can more easily recognise your products or services within the relevant marketplace. Any company registrations at “Companies House” does not provide any rights which prevents others from using your Trade Mark – neither does owning the domain name for your website! Dissuade people from using your Trade Mark without your Permission. Simplifies the process for taking legal action against anybody who uses the Trade Mark without your permission. Enables criminal charges to be brought against counterfeiters if they use your Trade Mark. Determine the strengths and weaknesses of an existing portfolio. Provide an efficient and effective management process for the IP arising from your branding processes. Ensure that you are obtaining the maximum IP return from your protected brand portfolio. Dynamically Review and plan your branding strategy accordingly. Assist in developing suitable new brands and corporate images. They must be renewed every ten years but can be renewed indefinitely. Registered Trade Marks can be identified by the ® symbol. The most effective Trade Marks are those ‘distinctive’ to the goods and services they protect. This allows consumers to identify your goods or service from your competitors. 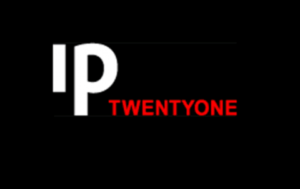 MarketPlaceAMP works with IP21, our Commercial Intellectual Property Attorney Partners to bring you this IP protection service with international reach.